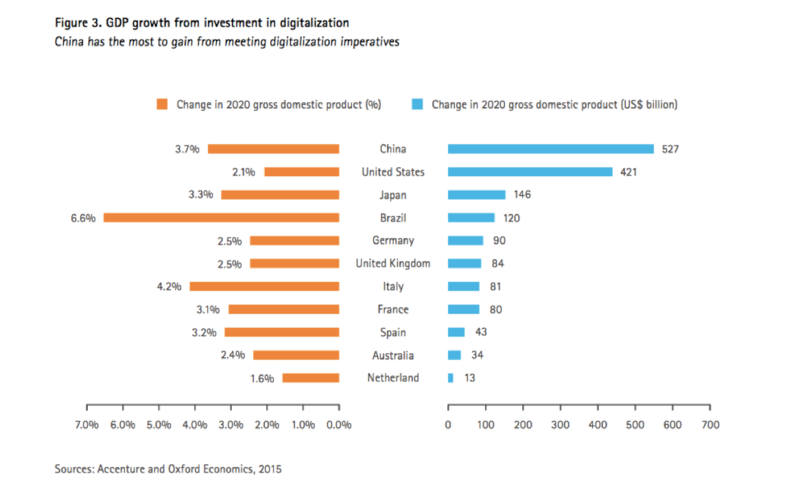 China and Digital Transformation: Are They Lagging Behind? For years, China has been leading the world in the adoption of social media, ecommerce, and mobile technologies. Their key Internet companies, Alibaba and Tencent, are doing far more transactions than Amazon and Google. Having skipped the PC-era, China went straight to mobile—and they have the numbers to prove it. Despite all these advancements, however, they still lag behind the U.S/ and other countries when it comes to some critical aspects of digital transformation—namely, cloud adoption and data analytics. Let’s take a closer look. According to We Are Social’s Digital in 2016 report, China’s population accounts for 18 percent of the world’s population. Interestingly, though, they represent 35 percent of global mobile users and 28 percent of the world’s active social media users. Much like in the U.S., mobile devices have become the norm in China—so much so, in fact, that a whopping 99 percent of the Chinese population owns a mobile phone, 74 percent of which are smart phones. To bridge mobile and ecommerce, note that 34 percent of Chinese residents make at least one purchase per month from their mobile phones. What does China do that’s working so well? For one, their key digital companies—Baidu, Alibaba, Tencent, and Sina, sometimes referred to as BATS—have a combined eight platforms ranging from social to ecommerce. According to Advertising Age, the active user tallies for each platform lie in the hundreds of millions. When you add them together, BATS’ reach totals upwards of two billion people, and they continue to grow because they’re constantly evolving. The platforms change often and quickly, favor advancements in payment, engagement, and video, and are dynamic in that they sometimes overlap. As the New York Times put it, there are “a number of areas where China jumped first.” For example, China was using digital wallets with ease before U.S. early adopters could even transfer money on smartphones. And Tinder? The Times reports China scooped that, too, in an app dubbed Momo. There are plenty more examples, but the point is the same: When it comes to social, mobile, and ecommerce, China moves quickly, prioritizing innovation and speed to market. And it’s working. By comparison to BATS’ eight powerhouses, the U.S. really has three: Facebook, Google, and Amazon. While it’s worth mentioning that some U.S. social messaging apps like Snapchat and Kik are using technology first popularized in China—personalized QR codes—to help users find and add each other, it’s still clear China leads the social and mobile pack—for now. 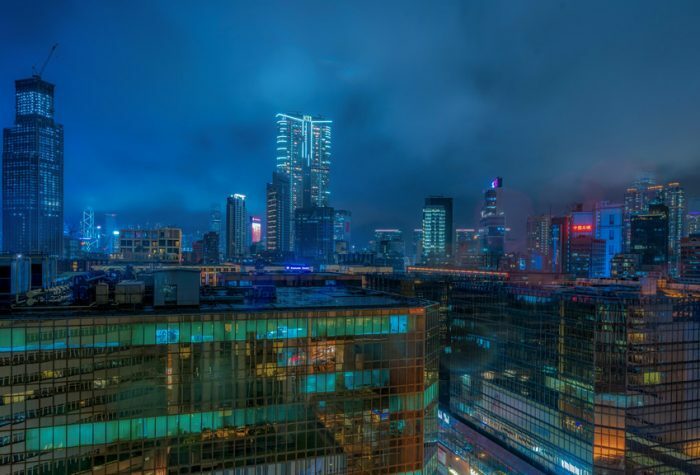 According to an Accenture report, Digital China 2020: An Action Plan for Chinese Enterprises, while Chinese businesses excel in the digital landscape in many ways, they lack the ability to create business value from many of those same technologies. That’s a big problem. Part of that struggle could come from a lack of investment. I was surprised to learn from the report that only 52 percent of Chinese CEOs reported they planned to increase their company’s IT investments over the next year. Also intriguing was the U.S. CEOs’ response to that same question: An underwhelming 45 percent said they’d be increasing their IT budgets over the next 12 months. Interesting for sure. Overall, digital transformation in China could grow the country’s gross domestic product (GDP) by 3.7 percent by 2020, compared to just over two percent growth in the U.S. (see Figure 1). Not new news, on any front. After all, I’ve long said digital transformation cannot succeed without the right culture. China or not, that’s good advice. Digital transformation isn’t about tools, or technology, it’s about culture. As good as China is at many things, nailing culture is often where they fall down. This will be interesting to watch.